Connection Between September 11th and Intelligent Design? President George W. Bush had it wrong the entire time. There was no connection whatsoever linking the events of September 11, 2001 and the war in Iraq. The link was between 9/11 and intelligent design, not Iraq. Of course, how could anyone miss such obvious an observation? In an interesting article on OpedNews.com, a list of twenty things we now know five years of September 11, 2001 is provided. In the article, the author discusses Bush's deliberate rejection of the facts, which leads him to accept intelligent design. Upon this, and some of the other items mentioned, I have two questions. First, who is really intentionally rejecting the facts? (See here). Second, the article makes many connections to how these 20 items show failure in Iraq, but he makes little, if any, connection to the events of 9/11, which was the original premise. Dr. John West and Casey Luskin, two of the authors of the book Traipsing into Evolution: Intelligent Design and the Kitzmiller v. Dover Decision have been getting quite some press for their book, which was co-authored with Drs. David DeWolf and Jonathan Witt. This time, the press comes from C-SPAN. 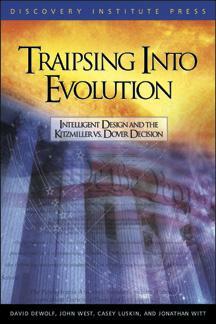 On Saturday, August 26, 2006 at 7pm EST, C-SPAN's Book TV will be airing a special on Traipsing into Evolution. The program will be re-run on Sunday, August 27, 2006 at 6:30 EST. A description of the event can be read here. Yesterday, Monday, August 21, 2006, Dr. Jonathan Wells, the author of Icons of Evolution: Science or Myth? (Regnery 2000) released another book. The Politically Incorrect Guide to Darwinism and Intelligent Design is part of a series of politically incorrect guides by Regnery Publishing, Inc.
Pope Benedict XVI replaced Rev. George Coyne, the director of the Vatican's observatory, on Saturday, August 19, 2006. Coyne, a Jesuit and vocal opponent of intelligent design, has held the post since 1978. The Rev. Jose Gabriel Funes, from Argentina, will be the new director of the observatory. See the full story here. Pope Benedict XVI, who became well known for his views on evolution while he was still Cardinal Joseph Ratzinger, is conducting a weekend seminar entitled "Creation and Evolution" from September 2-3 at the Castel Gandolfo, the pontiff's summer home. This seminar is the latest in the annual "Shulerkreis" or "student circle," a meeting the pope holds with his former Ph.D. students. Pope Benedict has been holding these seminars every year since the 1970s when he was a theology professor at the University of Regensburg in Germany. August 2006 marks the ten year anniversary of Dr. Michael J. Behe's best-selling book Darwin's Black Box: The Biochemical Challenge to Evolution. In celebration of the 10 years of this book, a 10th aniversary edition of the book has been released with a new afterward written by Behe. "Michael Behe has done a top-notch job of explaining and illuminating one of the most vexing problems in biology: the origin of the complexity that permeates all of life on this planet.... 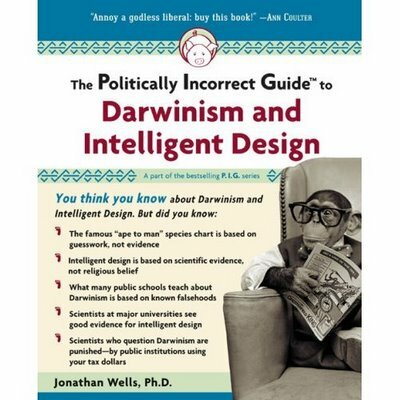 This book should be on the essential reading list of all those who are interested in the question of where we came from, as it presents the most thorough and clever presentation of the design argument that I have seen." "[A] valuable critique of an all-too-often unchallenged orthodoxy." "No one can propose to defend Darwin without meeting the challenges set out in this superbly written and compelling book." Thank you to Dr. Behe for his exceptional book. It is a challenge against Darwinian evolution that cannot go unnoticed. Thank you and best of luck to Dr. Behe in the future. Dr. Robert B. Sloan, Jr., the controversial president at Baylor University, and former professor at both Baylor and Southwestern Baptist Theological Seminary, was voted on as the new president of Houston Baptist University in Houston, Texas. Sloan was elected president of Baylor University in 1995 and developed the Baylor 2012 Vision, which has put Baylor on track to be a top research university. Sloan resigned his position as President of Baylor University shortly after he hired Dr. William A. Dembski to direct the Michael Polyani Center (MPC), the first intelligent design research center at a university. Though a long story, the MPC was eventually dissolved, despite being supported by a panel made up of representatives from various colleges and universities. Dembski was then released by Baylor. Sloan resigned the presidency in 2005 to become the chancellor of the university. Dr. William Underwood was the interim president through the end of 2005 and is now the president of Mercer University in Georgia. Dr. John Mark Lilley was elected president of Baylor University and began his tenure on 2006. On a personal note, I am saddened by Sloan's leaving Baylor University, as he was to be my professor during the Fall 2006 semester. I am, however, excited for Houston Baptist University. Baylor University grew incredibly during Sloan's tenure and Houston Baptist has much to look forward to. Dr. Robert B. Sloan, Jr. is a great man of character and will be an excellent president at Houston Baptist University. Best of luck to Dr. Sloan. Sic 'em Bears. Dr. David Berlinski obtained his Ph.D. in philosophy from Princeton University and was a Postdoctoral Fellow in Mathematics and Molecular Biology at Columbia University. He has been a professor of philosophy, mathematics, and English at schools such at Standford University and Rutgers University in the past. He has authored numerous books including, most famously, A Tour of Calculus (Pantheon) and The Advent of the Algorithm (Harcourt Brace). Berlinski has lectured and debated at some of the most prestigious institutes in the world. Dr. William A. Dembski has seven degrees in five fields of study (psychology, philosophy, theology, statistics, and mathematics). 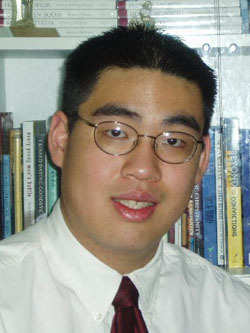 His degrees include a Ph.D. in philosophy from the University of Illinois at Chicago and a Ph.D. in mathematics from the University of Chicago. In addition, Dembski completed four postdocs and eight fellowships, once again in a variety of subjects. Dembski has lectured and debated at some of the most prestigious institutes in the world. Dr. Michael J. Behe obtained his Ph.D. in biochemistry from the University of Pennsylvania and is currently Professor of Biological Sciences at Lehigh University. He is the author of the best-selling book Darwin’s Black Box, which was named by National Review and World magazines as one of the 100 most important books of the 20th Century. Behe has lectured and debated at some of the most prestigious institutes in the world. Certainly you could refer to Berlinski as a “science writer,” Dembski as a “theologian” who “peddles creationism,” and Behe as a “third-rate scientist,” but you would only do that to add your own spin to the facts. Wait, I take that back. Dembski isn’t a creationist and I didn’t know that Lehigh University (a top-50 research university in America) was into hiring third-rate scientists. On that note, I didn’t know that the University of Pennsylvania (a top—oh wait—an Ivy League school) was into turning out third-rate scientists…and giving them Ph.D.s! Speaking about Ivy League schools, I wasn’t aware that Princeton University was into training “science writers” and giving them Ph.D.s! Coyne better be careful, his own institution (University of Chicago) might also be in the practice of hiring and turning out “science writers” and “third-rate scientists.” After all, Dembski received multiple degrees from that school. I think Coyne might have over-reacted just a tad to the part about Ann Coutler “attacking” him. But again, fact-distorting and insult-hurling have always been favorites for Coyne and the evolution community.